Chanel surprised the whole fashion scene with their Chanel Supermarket runway for Paris Fashion Week. The runway took place in a fake Chanel Supermarket, filled with stunning people and incredible Chanel products. Going to the supermarket has never been so fab! 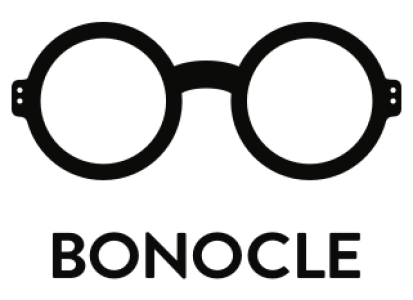 At Bonocle we were very happy to see so many glasses on the show. Who said you can’t wear your sunnies in the supermarket?! Even Rihanna went out for a shopping tour! Thom Browne’s models at Paris Fashion Week at École Militaire showed the Spring 2014 collection wearing aviators and a bold red lips, creating the season’s eccentric inspiration from the military. Photo from Thom Browne’s instagram. Not only did Kenzo show awesome eyewear for FW 13, they also had eyes printed all over! “It’s all about protection and warding off evil spirits,” Humberto Leon and Carol Lim said of the eyes. As if they would need it with all the love they’ve received lately. One of the biggest talk-abouts of last years eyewear moments was definitely the collaboration between Damir Doma and MYKITA. At this years Berlin Fashion Week we finally got the great confirmation: the story continues! 3. Available in my favorite colour: red, check! 5. Retro shape in a modern and innovative way, check! Looking forward trying them on as soon as I get the chance! Excited! Cutler & Gross‘ optical frame “0692”in Grey, Blue and Crystal appeared on the Rikard Nicoll runway, especially renewed with black mirror and crimson blue lenses for this occasion. The frame did great together with the designer’s collection of industrial post-punk / neo-classical wardrobe essentials. I bumped into this picture while surfing on bon’s website and it just caught my attention. Love the whole look, combining a classic female look with a balanced electric futurism. The sunglasses are very delicate, they almost look like Christian Dior eyewear did back in the 80’s. What to say… Aren’t these glasses just kind of awesome?! On my wish-list! From PRADA SS13. Also available in tortoise, black and blue etc of what I’ve seen. Sunglasses made of shiny stainless steel and horn, WOW! Just another Bonocle-favorite from MYKITA… I have to say, they are KILLING it! Amazing collaborations coming out from the berlin-based eyewear brand every single year. Can’t wait until seeing these sunglasses in real life at their launch party in Paris this weekend! Exited! This time the ALTEWAISAOME SS13 collection includes a very important accessory: sunglasses! ALTEWAISAOME has designed a bold collection of sunglasses in collaboration with swedish eyewear company KunoQvist. says Marcus Gårdö founder of KunoQvist. Raul Mazzoni painting, picture from (HERE). 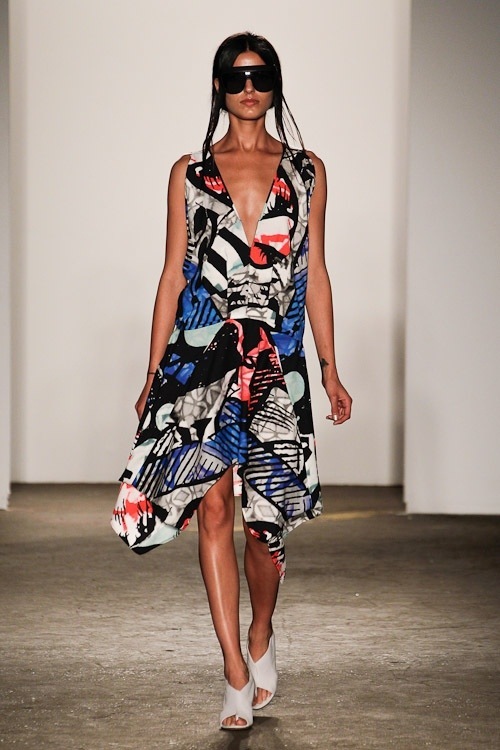 MYKITA Mylon meets the runway! This collection really redefines the borders between the worlds of sports and fashion. Photos from The MYKITA Blog. 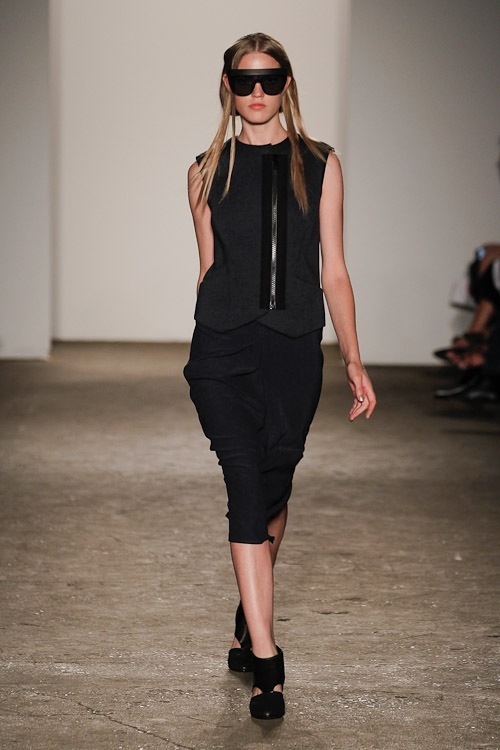 MYKITA Mylon at SS13 Zero + Maria Cornejo Fashion Show in NY.